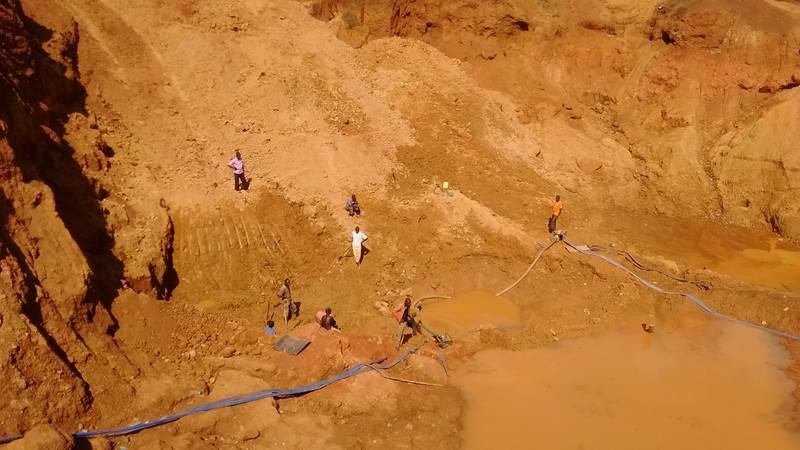 This open pit was run and dug by excavator in last three days and people are trying to reach the gold bearing rocks. They actually reached it, only lack the knowledge of prospecting to continually verify the material and lack the equipment to process it. There is often more work than necessary which increases the expenses. Sometimes just 10 bags of materials are discarded and 22 grams of gold found. But the process of transport of the material is stopped, and delayed by long time of such verification. Even once gold has been found, nobody is again transporting the material, it simply remains on the side so the open pit. People are searching for "more" while that more is under their feet.